In line with the release of the upcoming new Bond movie 'Skyfall', Daniel Craig is cover guy for the upcoming edition of November 2012 Vanity Fair magazine. On how he feels about 'protecting' the Bond franchise: "What I'm doing is not what Pierce [Brosnan] was doing, and Pierce wasn't doing what Roger Moore was doing, or what Sean [Connery] was doing, or what Timothy [Dalton] was doing. Things have changed. It's just kind of the ride of it. Pierce used to say that it's like being responsible for a small country. It's kind of like you have to look after it diplomatically. I kind of get that, but I can't really say that's my deal. I'm not going to be the poster boy for this. Although I am the poster boy." Here's the 'Skyfall' trailer - will you go see the movie? 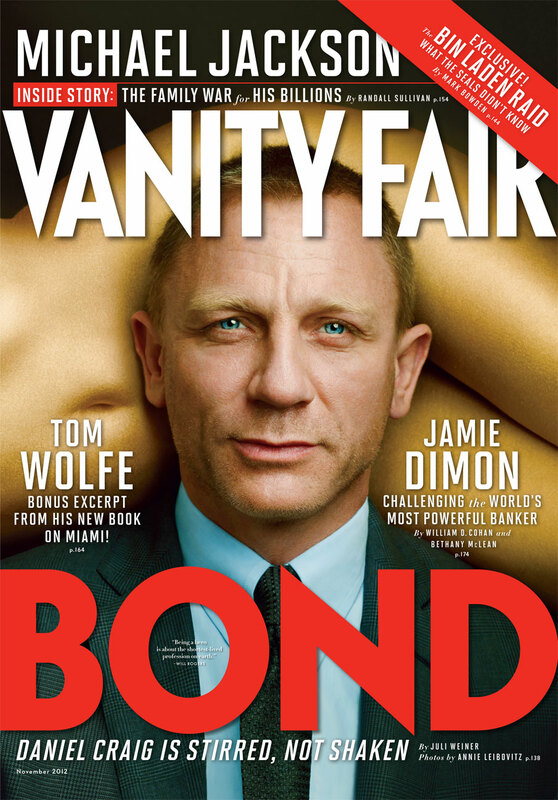 LOVE Daniel Craig and all things Bond... will def see this movie. Thanks for the trailer...!